Well folks that was easier and quicker than I thought it might be, in fact its taken longer to photograph and upload the images than to make the flower! 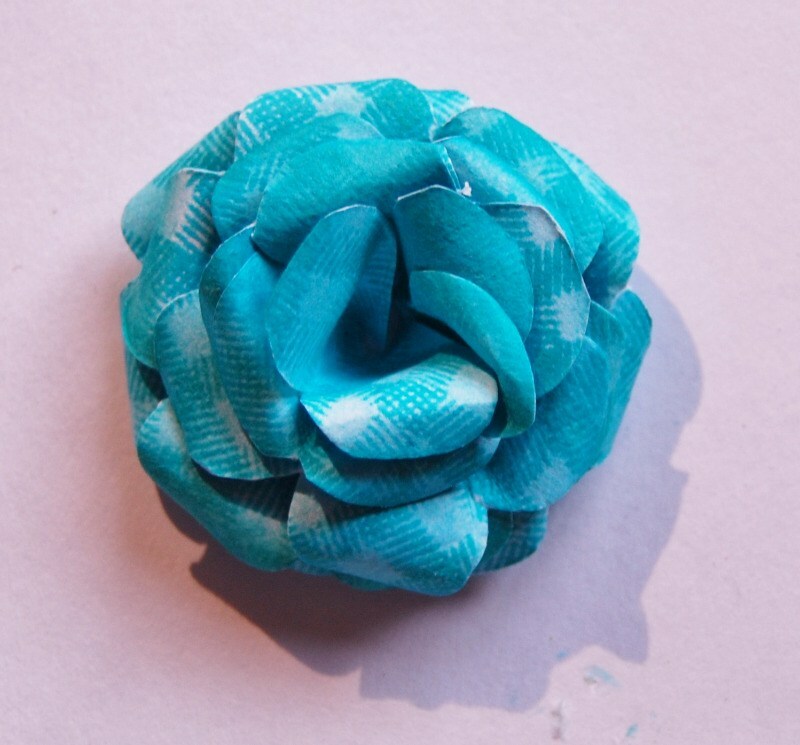 So here it is, my take on a 3D flower made without the aid of any fancy die cut shapes. First of all I stamped a checked design using one of the plaid builder stamps from the primitive angel stamp set. I used a dye based ink and as you can see I wasn't too careful or overly worried about lining it up exactly. I inked around the edges of both front and back of the circles using the same ink as before. 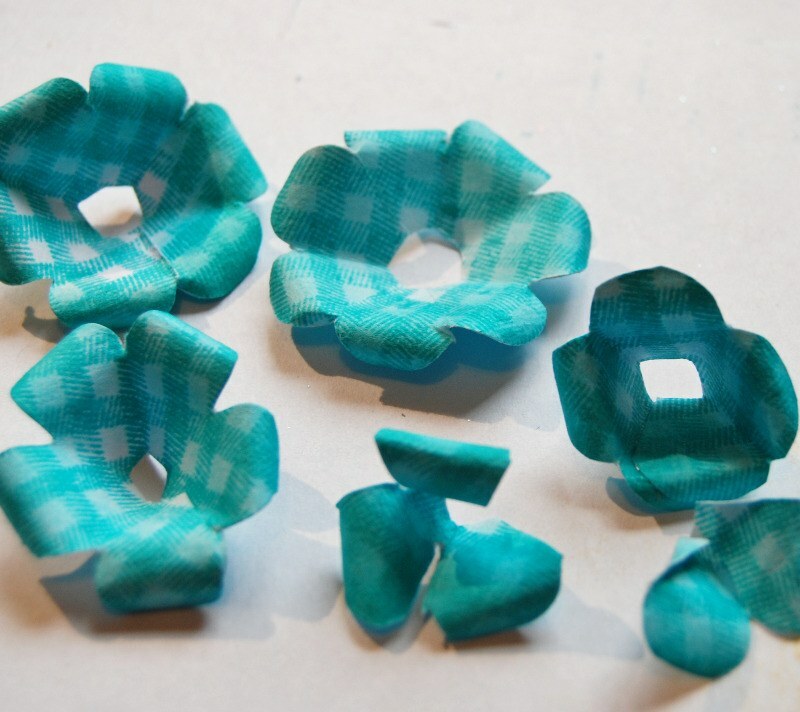 Fold each circle into half, then half again, and then half again, so that it looks like this. Next cut the corners off the triangle to make it more petal shaped, take care not to cut too far down as your circle will fall apart! When you open it out it should look like this. 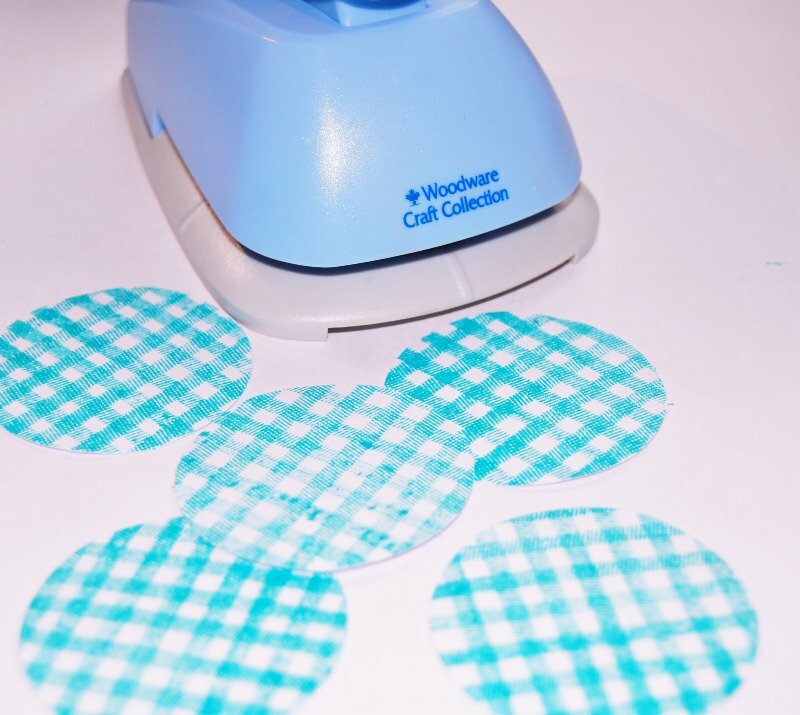 Next I cut some segments out from the shapes. The first I just cut down one fold line but didn't remove anything. The next I removed one petal, the next two, the next three and so on. 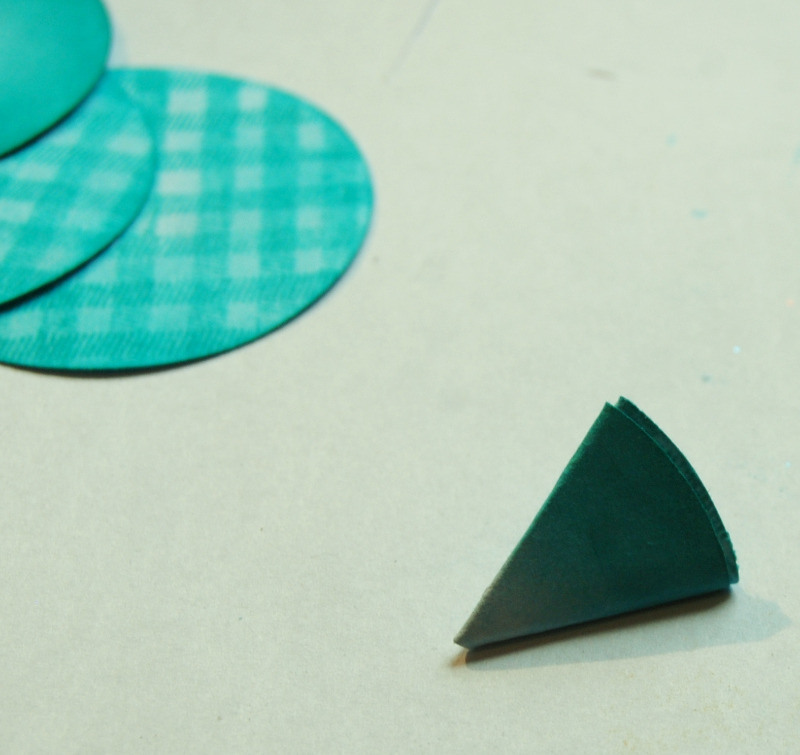 I also trimmed some from the end of the triangle which will help the flower sit flat when it is assembled. 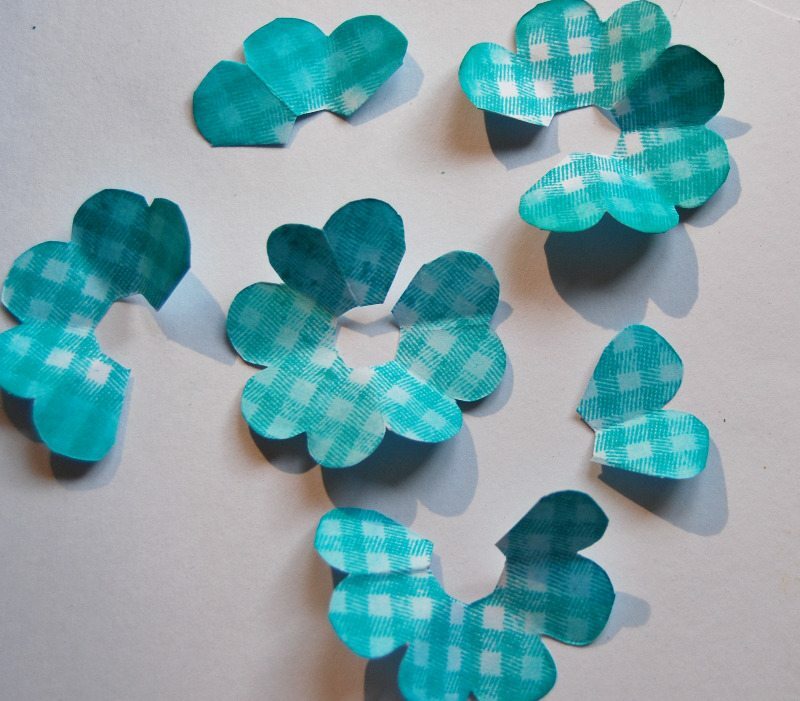 Start folding the flower together by overlaying one petal with another and gluing into place. 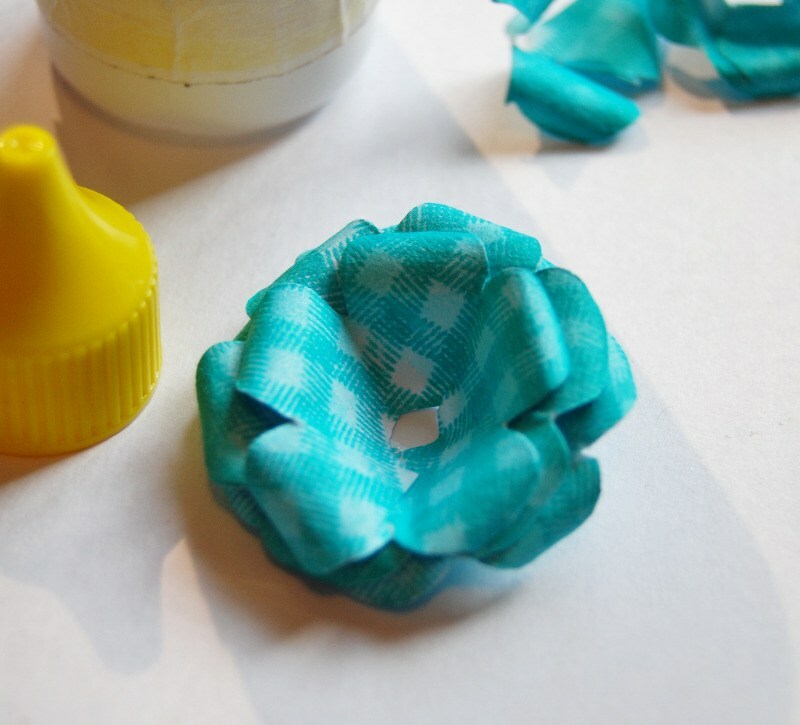 Roll the edges of the petals around a pokey tool, cocktail stick or the thin end of paintbrush. When you get to the smaller pieces just roll them don't bother gluing yet. 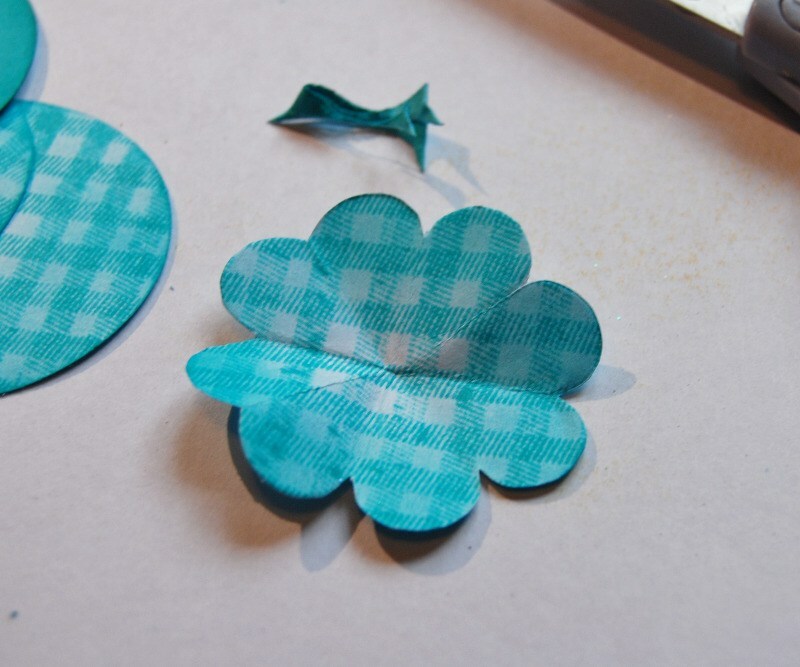 Now start by applying some glue to the centre of the largest flower shape, be generous here it will give you extra time to move your petals around and means your flower will be firm when the glue dries. Then add more glue and more layers of petals. 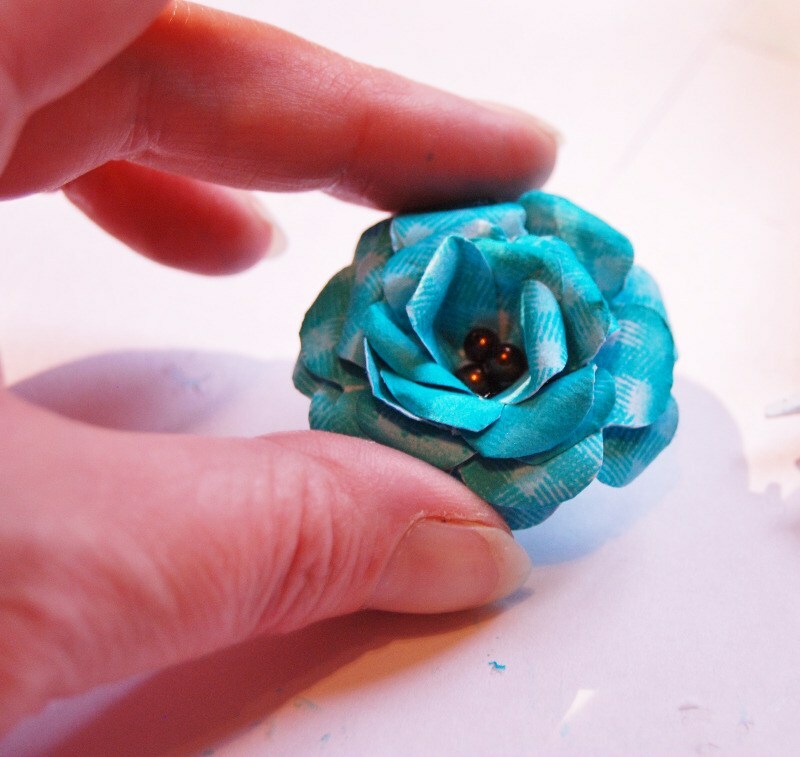 the very small centre pieces can be rolled and pinched together before adding to the flower. Dont panic at this point if you don't think it looks great, you can always tweak more when the glue has set. Your flower should be looking something like this now. Here is the finished flower. I've put a drop of glue in the centre and added a few beads. The glue should dry clear, hopefully! I think it looks quite effective really, considering all it's made from is a sheet of white paper, some ink and a bit of patience! 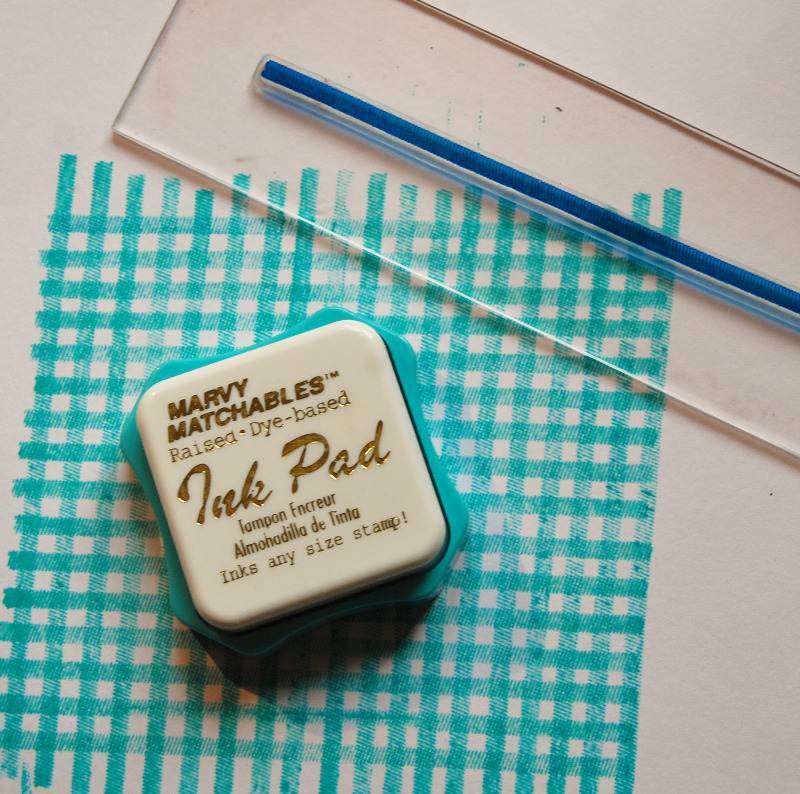 Proof that you don't need lots of fancy tools and papers to get great results. I hope you guys will give this a go and let me know what you think. Beautiful! Never ceases to fascinate me what beautiful things can be made out of a sheet of white cardstock or paper! 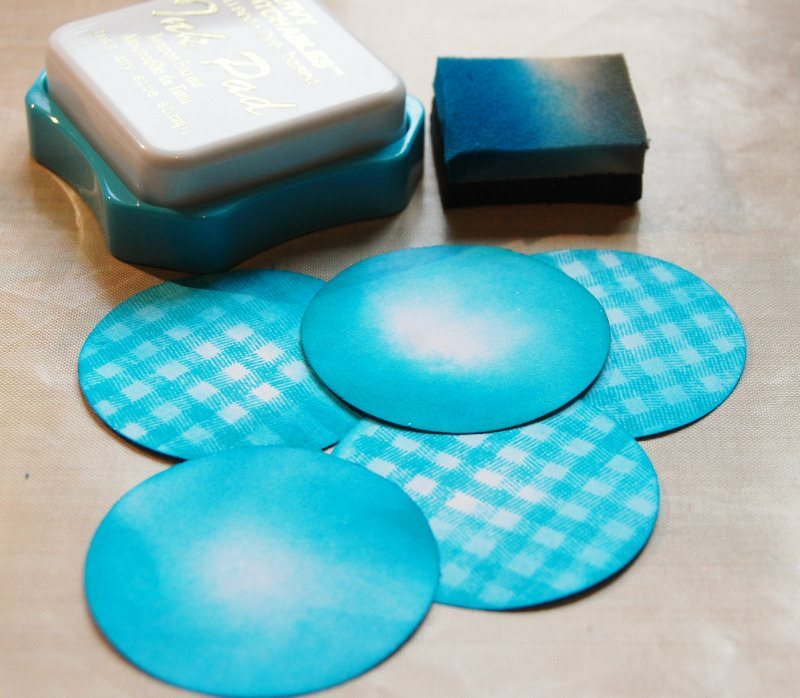 it's why I love papercrafting so much.